Order in the next 5 hours 38 minutes and your package will ship on Friday, April 26. Our petite diamond huggie hoop earrings are so versatile you'll reach for them every day. 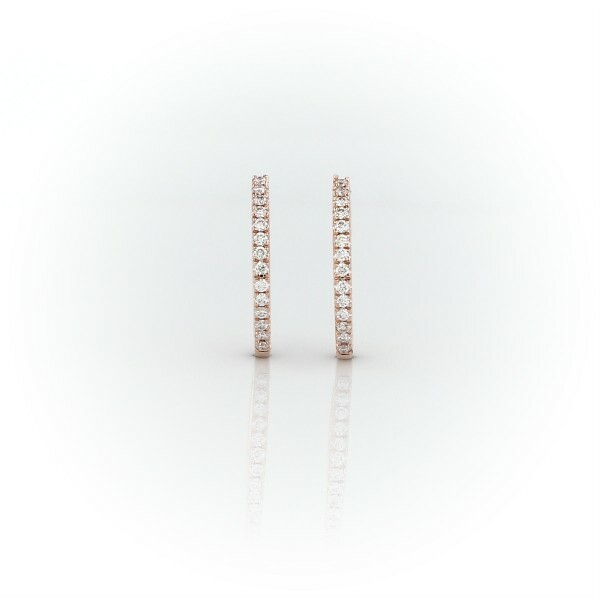 Crafted in 14k rose gold, with lines of round brilliant-cut pavé diamonds, these mini hoop earrings offer subtle sparkle and essential style.